PhD in Physics at the Technion, 2016. 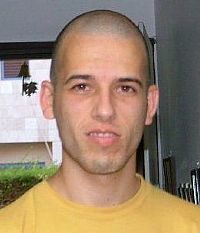 Participated in the Technion Excellence Program: October 1998 – June 2001. Shlomi enjoyed the academic benefits of the program and took advanced courses. He started his studies for second degree after 2 years. He did research under the direction of Dr. Joshua Feinberg from the Physics Department in Quantum Field Theory. Today (2016): Completed his PhD in Physics.